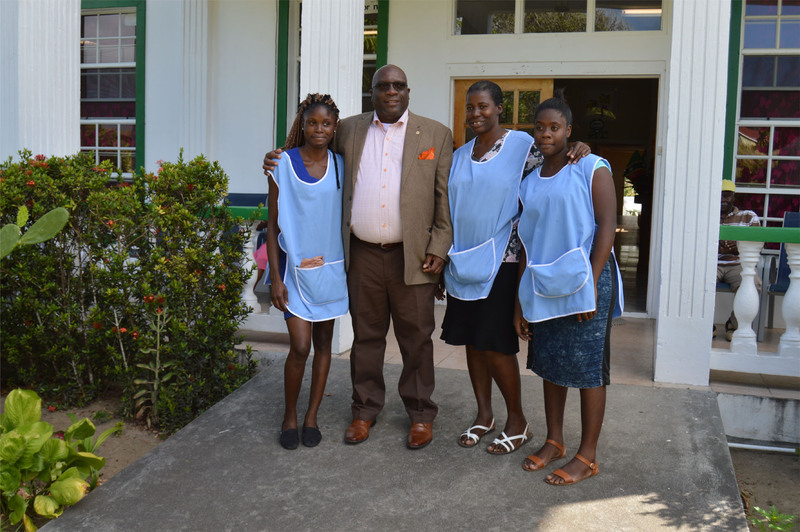 BASSETERRE, ST. KITTS, February 23, 2018 (PLP PR Media Inc.) — On the packed calendar of Team Unity Administration’s Third Anniversary Week of Activities held under the theme ‘Opening Doors and Creating Opportunities Through Service and Empowerment’, Thursday February 22 was observed and as ‘Constituency Day’. Officials held constituency walkthroughs and held one-and-one meetings with constituents. 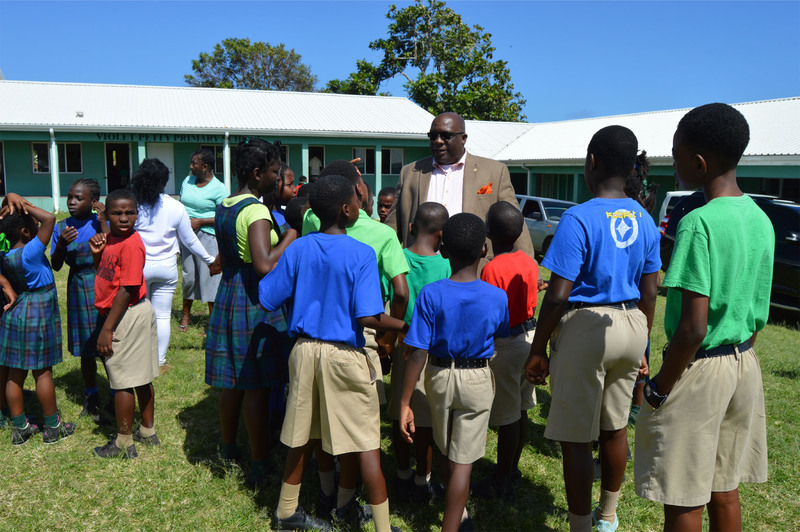 Prime Minister and Area Parliamentary Representative for St. Christopher Seven, Dr the Hon Timothy Harris, had a packed programme for his constituency which was hailed as a great success by all he and members of his entourage interacted with. Activities included visits to the four primary schools in the constituency, the Mary Charles Hospital, the Grange Health Facility, Tabernacle Police Station, and Tabernacle Day Care Centre in the morning section, culminating with a highly successful walkthrough in the village of Phillip’s in the afternoon. The Area Parliamentary Representative, accompanied by an enthusiastic entourage, noted that the people he met gave their views on how they see the country going, and what was important for them at that particular moment in time. The walkthrough came to an end at 7:00 pm, brought about by the advent of darkness. The day started with the engagement of young people at the Joshua Obadiah Williams Primary School in Molineux. 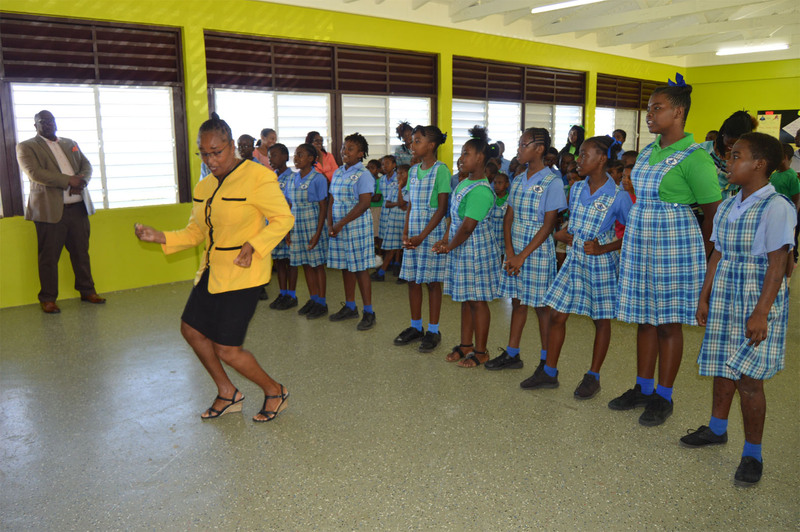 Other schools visited were the Violet Petty Primary School in Lodge Project, Estridge Primary School in Mansion, and the Edgar T. Morris Primary School in Tabernacle where Dr Harris said he was on sacred grounds, being an old student. “In the schools I tried to help and encourage the young people to appreciate and to understand that the future was in their hands and yet they have to plan for it by what they do now because today determines the future,” observed the Prime Minister. 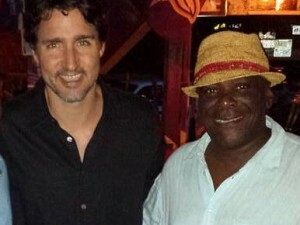 According to Prime Minister Harris, all those things add values to oneself, to one’s community, and to one’s school. He added that it was a message aimed at telling them that whatever their talent is, they utilise it to the best of their ability and that way it can bring self-satisfaction, advancement, progress, and meaning to their life and add substance to the rest of the community. Dr Harris advised the pupils to accept as part of their learning experience that there were certain pitfalls that they should avoid. He mentioned the ‘no to drugs’, ‘no to violence’, ‘no to indiscipline’ messages which were meant to warn the young people that life has its challenges. They could, he noted, overcome the challenges by instilling the discipline in them now to say ‘no’ to some of the vices. “We hope that not only through the messaging but providing opportunity to youth groups such as the Mol-Phil Explorers Youth Club and Shadwell Explorers Youth Club, more young people at a very early age become inculcated in the values of civic responsibility – that they become inculcated to take on leadership roles and again to partner in critical matters such as matters of law enforcement,” noted the Prime Minister. At the Mary Charles Hospital, in Molineux, the Prime Minister and his entourage visited the patients and had an opportunity to pray for them. 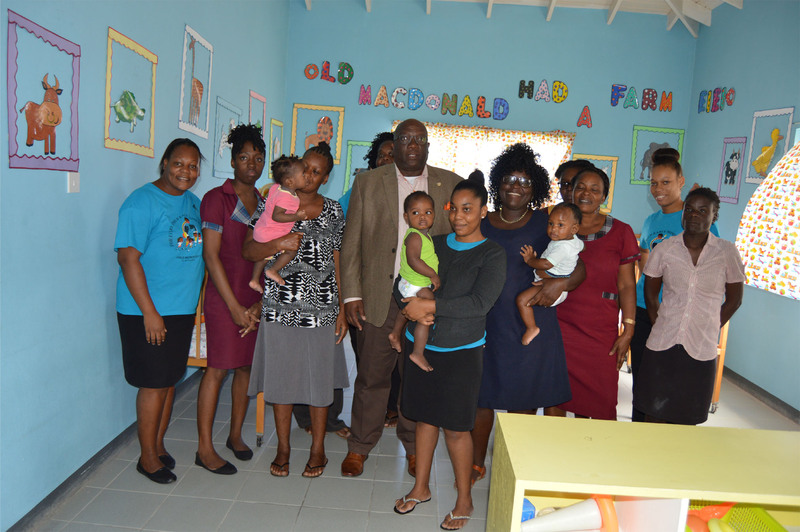 Residents at the Grange Health Facility in Ottley’s were overwhelmed with joy that the Prime Minister had taken time to come, to indicate to them how important they were. The staff felt a sense of validation of their work and their contribution to society to have had the Prime Minister visit. 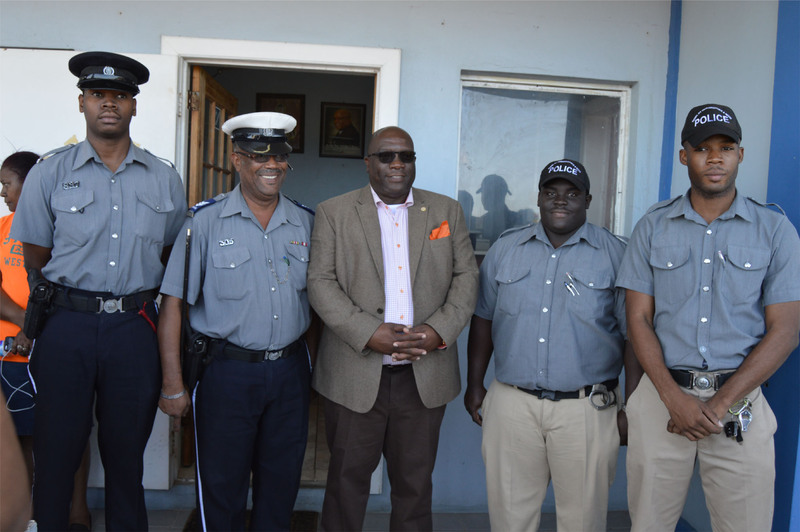 Prime Minister Harris, who is also the Minister of National Security, toured the Tabernacle Police Station where Sergeant Simeon Liburd showed the entourage around the station. They were also shown around the Fire Station by FSO Kyle Burke, while Mr Alexis St. Luis showed them around the site of the proposed forensic laboratories. 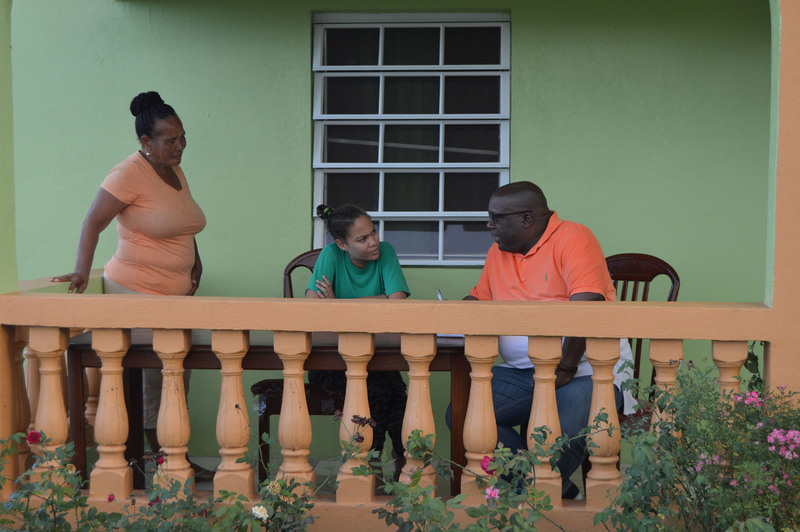 The PLP National Chairman Mr Warren Thompson and National Secretary Ms Myrtilla Williams, who are both constituents and part of the executive for Constituency Number Seven, were praised by the party leader for bringing their experience and knowledge in planning a very successful event. The group was joined in the afternoon by Chairman of the Constituency Number Seven PLP Branch, Mr Lenworth Harris. “In the morning we had a very good enthusiastic entourage, and in the afternoon we had a similar enthusiastic group of persons who had come out, well-meaning, and wanting to show their solidarity and support,” said Dr Harris.